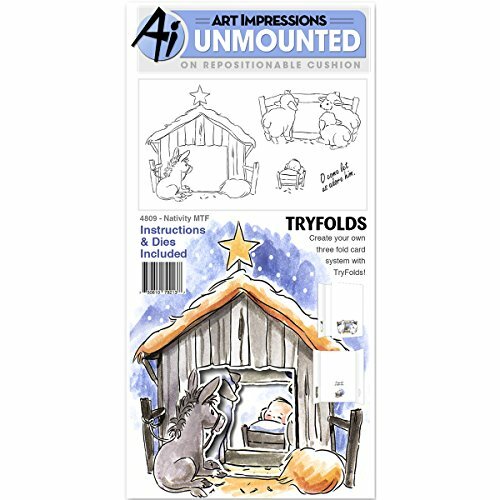 Art Impressions Mini Try'Folds Cling Rubber Stamps Nativity, 10" x 4.5"
A different kind of TryFold! The Mini TryFold includes two dies cut out openings to reveal the stamp behind. Stable with donkey, sheep, baby Jesus in a manger, and "O come let us adore Him." Set of 6. View More In Stamps & Ink Pads.